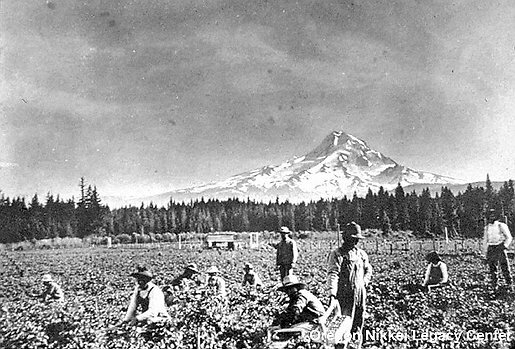 Picking strawberries near Mt. Hood, Oregon. Source unknown.